Silver Linings Playbook may have a horrendous title, but it has certainly won over the hearts of many critics and has emerged as a major contender for the Oscars. The Best Actress category has been particularly thin this year, and Jennifer Lawrence may emerge as the victor with her role here. It’s also nice to see Robert De Niro actually acting like he gives a damn. During the years he spends in a neural health facility, Pat Peoples formulates a theory about silver linings: he believes his life is a movie produced by God, his mission is to become physically fit and emotionally supportive, and his happy ending will be the return of his estranged wife, Nikki. When Pat goes to live with his parents, everything seems changed: no one will talk to him about Nikki; his old friends are saddled with families; the Philadelphia Eagles keep losing, making his father moody; and his new therapist seems to be recommending adultery as a form of therapy. When Pat meets the tragically widowed and clinically depressed Tiffany, she offers to act as a liaison between him and his wife, if only he will give up watching football, agree to perform in this year’s Dance Away Depression competition, and promise not to tell anyone about their “contract.” All the while, Pat keeps searching for his silver lining. 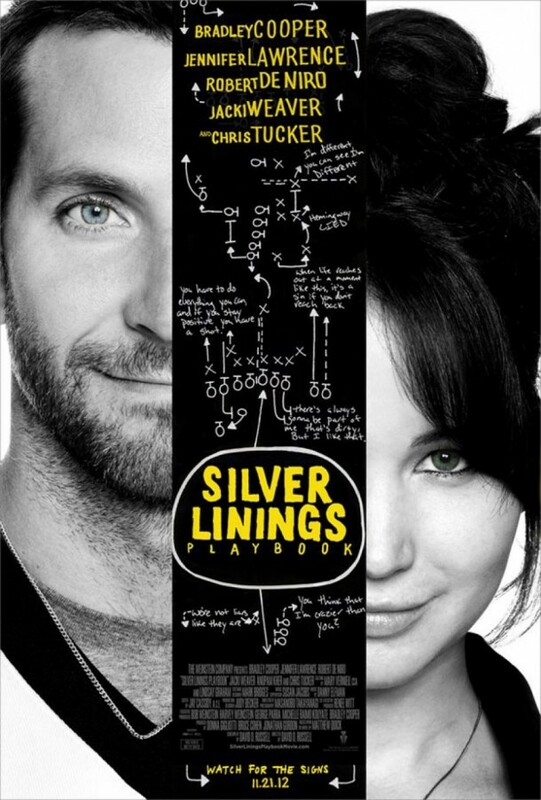 Silver Linings Playbook hits theaters on November 21st, 2012. There are currently 2 Comments on Check Out Jennifer Lawrence And Bradley Cooper In “Silver Linings Playbook”. Perhaps you would like to add one of your own?